On the way home from school one day Matthew finds a penny. 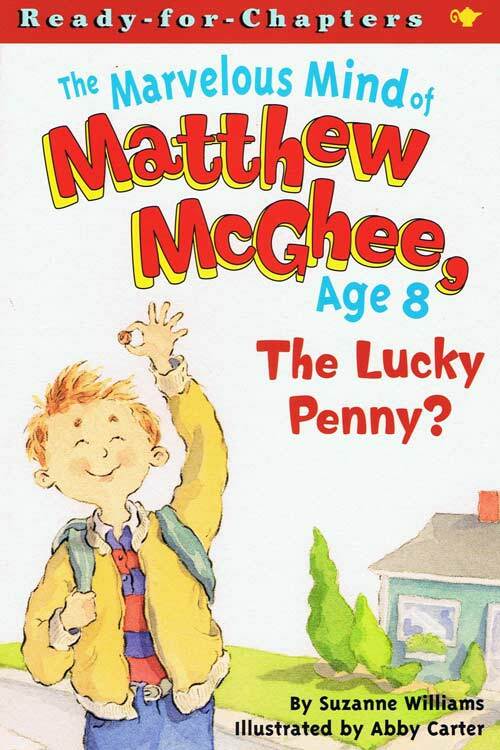 Remembering the rhyme his grandfather taught him — “Find a penny, pick it up, and all day long you’ll have good luck”–Matthew slips the penny into his pocket and takes it home. Suddenly Matthew becomes a very lucky boy. First his parents take him to the pound to pick out a puppy. Then at school he makes an amazing catch during the softball game. Could it be that this penny really is a lucky penny? ←Matthew Mcghee Book 1- Master of Minds?